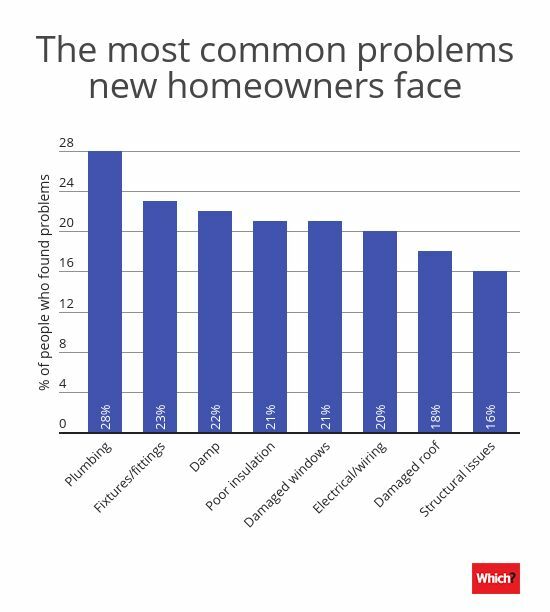 Some 37% of homebuyers find significant problems after moving into their new properties that they weren’t made aware of during the buying process. In December 2017, we surveyed 2,005 people who had bought new homes in the previous two years. 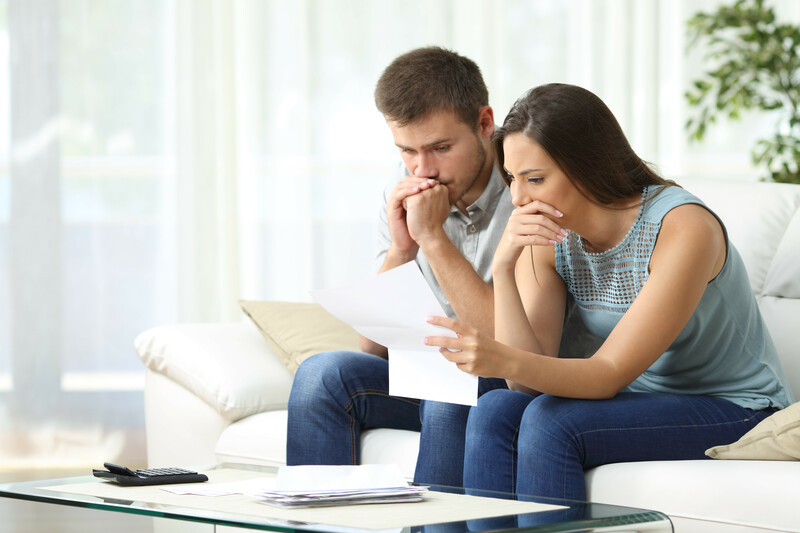 Although 82% of recent homebuyers had paid for a survey, for many this didn’t guarantee peace of mind – in fact, a shocking 42% of the people who had surveys done went on to discover problems after the sale. The three most common home-improvement problems people find on moving in are plumbing issues, faulty fixtures and fittings, and damp – many instances of which should be picked up by a survey and can be costly and time-consuming to repair. If you’re moving into a new house and need advice on repair work, head to our guides to home improvements, including advice on fitted kitchens, insulation, double glazing and damp. Just about everybody moving into a new house finds budgets stretched and finances tight, so these kinds of repair jobs can be particularly frustrating – even more so if your survey hasn’t flagged costly problems in advance. During the sale process, buyers can negotiate deducting the costs of repairing major problems highlighted in surveys from the price of the home. However, once the sale has been completed this no longer applies, so you’ll be left to foot the repair bill yourself. Structural problems and roof damage can be very expensive to fix, and damp treatment can cost anywhere up to £15,000 if your building’s structure has been affected, so these repairs come as an unwelcome surprise. Unfortunately, our study found that even after full structural surveys – intended to be a more detailed, ‘hands-on’ investigation – 39% of owners still found significant problems after moving in. Building survey A full analysis of the structure and condition of the property, with advice on maintenance and optional projected costs and timings for repairs. Some 45% of our survey respondents had a homebuyer’s or condition report, which should give an overall indication of the condition of the property.It’s important to note that homebuyer’s reports are ‘surface-level’ which means that the surveyor will not look behind furniture or lift up flooring. And 33% of the homebuyers we asked had a full structural survey. These are ‘hands-on’ – if you opt for one of these your surveyor should move things around, lift floorboards and check the attic. A full structural survey is more costly, but advisable for houses that are over 50 years old, in a poor condition, or if you are planning to renovate after moving in. For new-build homes, you’ll need a snagging survey, which checks the level of finish when building work is complete and should pick up problems with fixtures and fittings and incorrect plumbing – 4% of our survey respondents had one of these. For more information on what to look out for, and how much your survey should cost, head to our guide to house surveys. Of course, the price of a survey is just one of many costs you’ll need to factor into your homebuying budget. 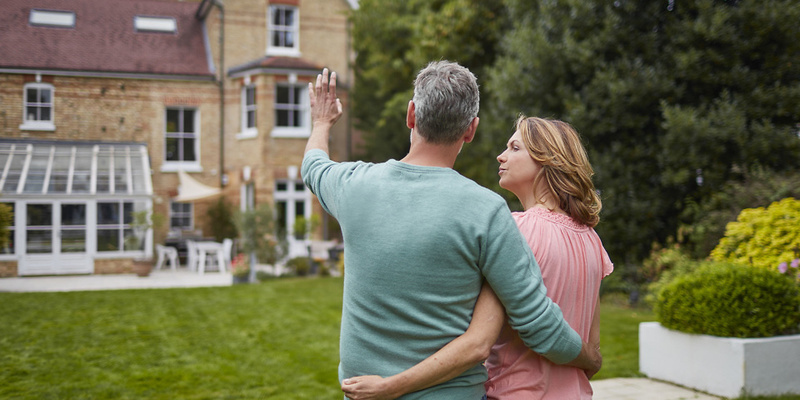 For a full run-down of what you’ll need to pay for, head to our guide to the cost of buying a house. If you’re moving to a new home and need help with repair work, you can find endorsed plumbers, electricians, builders and other tradespeople with Which? Trusted Traders. All our endorsed Which? Trusted traders have passed our rigorous assessment process to ensure they work within the current regulations and treat customers honestly and fairly.